It didn’t take me long to fall into step with what the locals had been doing for centuries. I was soon on my fourth Christmas market in just three days with a steaming hot mug of apple cider in a keepsake mug. I felt like a regular as I weaved through the pedestrian markets. The Christmas tree and tented food hall at Tollwood Winter Festival in Munich. Running the duration of advent before Christmas, Christkindlesmarkts are located in European city centers and are a place for people to gather, buy locally made crafts and ornaments, and indulge in larger than life pretzels. 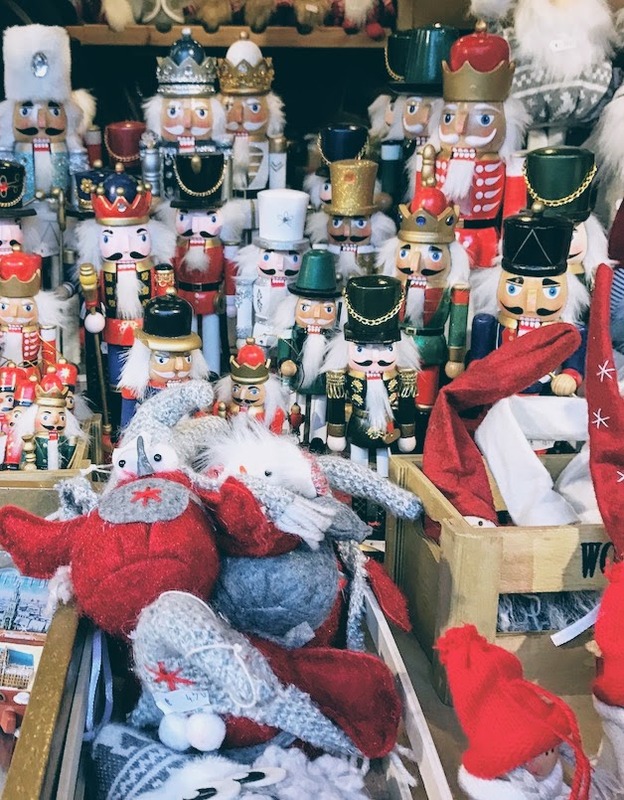 Germany is where these markets, along with the most well-known Christmas customs, originated. One city can have multiple markets; in Munich alone there are twenty-four separate markets. Some are themed, such as the Middle Ages Christmas Market, whereas others are more commercial with ice skating rinks plopped in the middle of a busy thoroughfare. 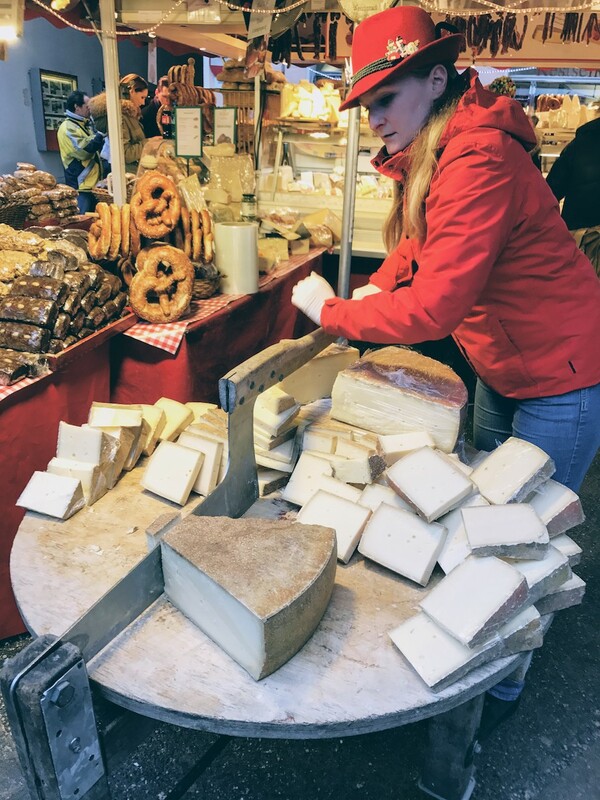 Everything’s bigger at the Christmas Markets, including the cheese! A short train ride away from Munich is Salzburg, Austria, a city rich with culture and custom. 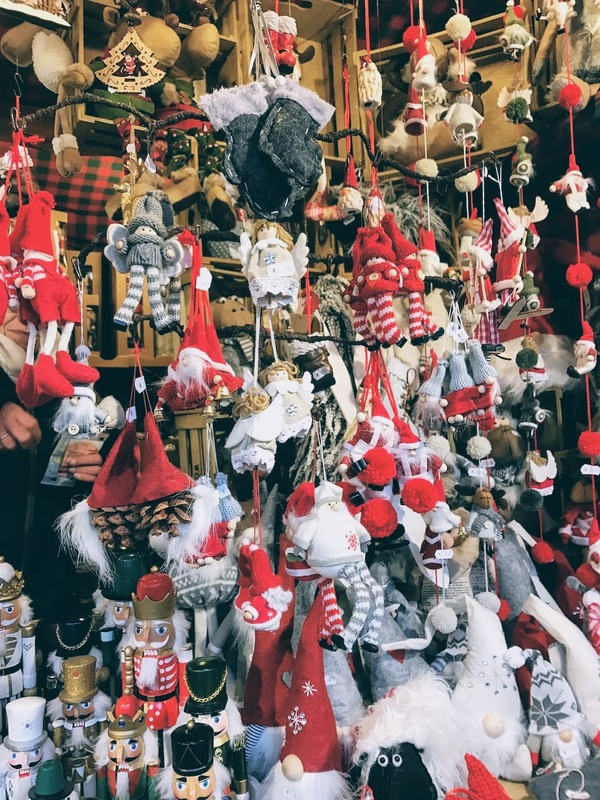 The two main markets there, the Salzburg’s Christmas Market and the Christmas Market at Mirabell Square, are smaller but have their own character. Even more remote was the Berchtesgaden Christmas market in the small alpine town of the same name. The night I was there it was snowing heavily, which only added to the charm of the idyllic town full of winding alleys, horse drawn carriages and young girls dressed as angels handing out chocolates. In all the markets, it seems as if the towns folks gathered here in the evening hours, right after dusk, to enjoy a beverage or two at the many high-top tables before dinnertime. Though there is definitely food - bratwurst, potato patties served with apple sauce, spaetzle, and savory or sweet fried dough. These temptations are hard to avoid when you walk through these markets. Whether you are a fan of Christmas or not, the Christmas markets are a fun and festive way to spend the holidays. They are definitely the place to be during the holidays with crowds keeping warm with good food, good drink and good company! 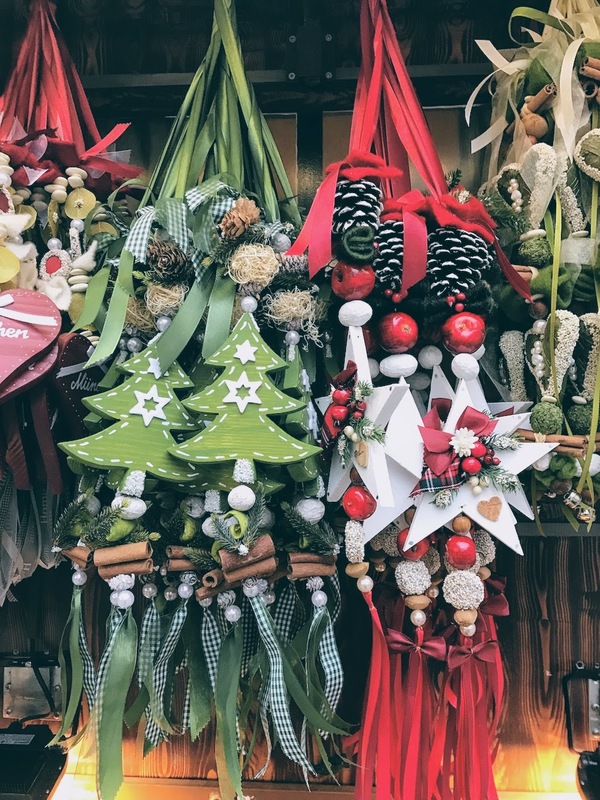 Munich Christmas Market: Located in the main shopping area, the largest and busiest Christmas market in the city truly captures the spirit of the season. Until December 24th. Tollwood Winter Festival: a more modern fair, there are tented food halls and arts and crafts. Until December 23rd. 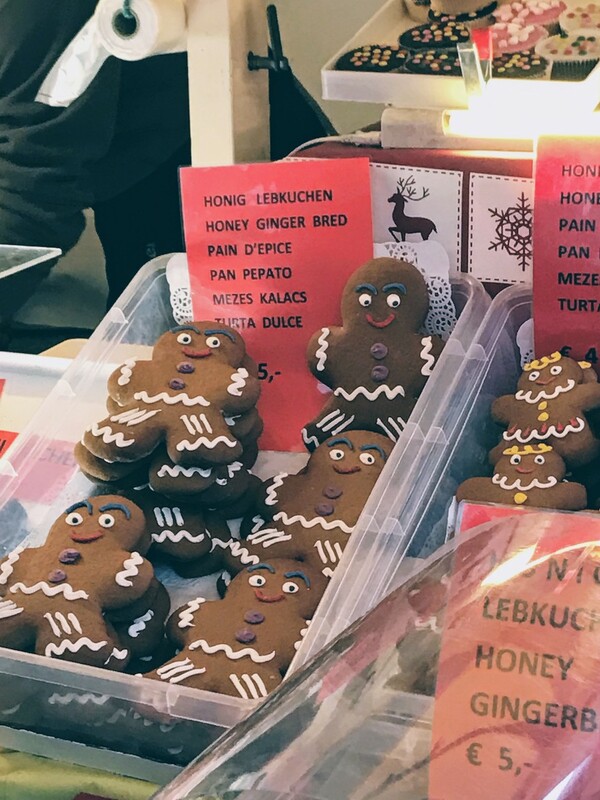 Middles Ages Christmas market: harkening back to how the original markets used to be with medieval themed music and events. Until December 23rd. The Christmas market entrance at Hellbrunn Palace, Salzburg, Austria. 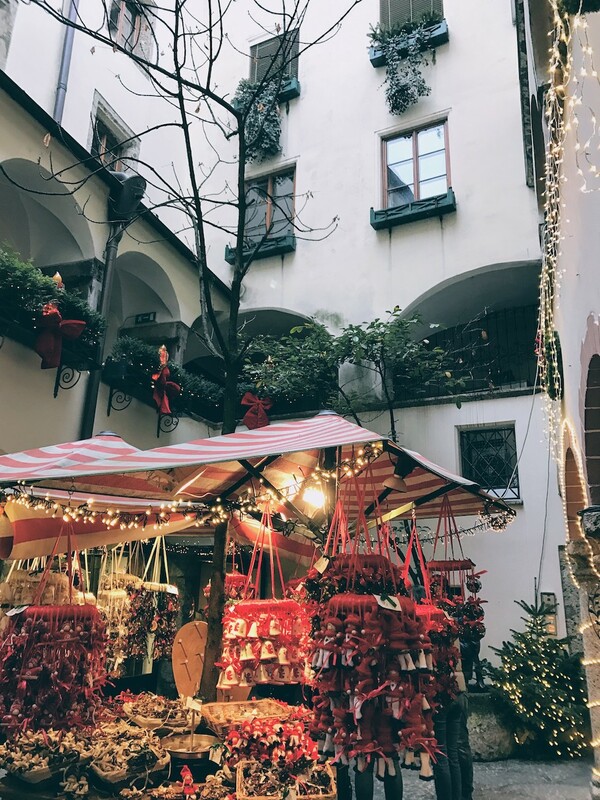 Salzburg’s Christmas Market: located in the Old Town, this large market has different courtyards in front of the Cathedral. Until December 26th. Hellbrunn Palace: a short ride outside of Salzburg’s city center, this market features a children’s section. Until December 24th. Christmas Market on Mirabell Square: though much smaller than the other two in Salzburg, it is a good stop in a central neighborhood. Until December 24th. Berchtesgaden Christmas Market: this quaint market goes through the town’s cobblestones streets. Until December 30th. Surrounding homes and businesses join in the festive spirit, such as this one in in the alpine town of Berchtesgaden, Germany. Viennese Christmas Market, Vienna, Austria - one of the world’s oldest Christmas market, there are many throughout the city but the main on is in front of City Hall. Until December 26th.